Salvation And Survival: Who Do You Say You Are? I have been listening to a series of podcasts by Dr. Curry Blake, a leading authority on Divine Healing. I have been greatly moved by his no-nonsense, down-to-earth preaching on the fundamental truths of the Bible. His teachings on both spiritual and physical healing, spiritual warfare, and our identity as children [sons and daughters] of God are quite thought-provoking. 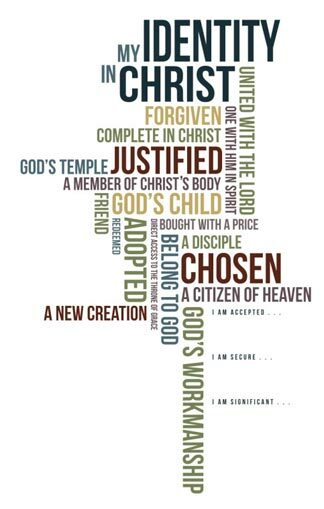 We can all agree that Scripture tells us that when we accept Jesus as our Savior, we are a new creation: Therefore, if anyone is in Christ, he is a new creation. The old has passed away; behold, the new has come (2 Corinthians 5:17). So why do we keep identifying ourselves as sinners? We were sinners, but we have been saved by God's grace, and the Bible tells us that we are now the righteousness of God in Jesus Christ: I have been justified (completely forgiven and made righteous) and am at peace with God (Romans 5:1). God no longer identifies me as a sinner. I have been transformed -- not just cleaned up on the outside, but completely transformed on the inside, too. And what does that look like? Romans 12:2 tells us: Do not be conformed to this world, but be transformed by the renewal of your mind. That means that this new creation I have become is a total and complete transformation from my former state; and I, in fact, have a new nature and now have the mind of Christ (1 Corinthians 2:16). So why do we continue to identify ourselves as sinners and expect to sin? Is it because we have believed the lie from Satan that we are unable to NOT sin? Because that's not what the Bible says! The Word clearly tells us that I have been crucified with Christ, and it is no longer I who live, but Christ [who] lives in me. The life I am now living is Christ’s life (Galatians 2:20). Since Christ was sinless -- and the life I am now living is Christ's life -- shouldn't I expect that I, too, could live a sinless life? So why don't I [we] believe that? It all comes back to renewing my mind to have the mind of Christ. God has done His part. Now I have to do mine. God has promised three gifts to every true Christian: His spirit of power, His spirit of love, and His sound mind. We can all understand what His power and love are, but what does He mean by a "sound mind"? Strong's Concordance says that "sound" infers discipline and self-control; which characterizes the mind of Christ. It can be a challenge to separate God's truth -- [that the old has passed away; that we are a new creation; that we are transformed to live the life of Christ; that we are no longer identified as sinners] -- from the deceitful lies of Satan [that we are unable to stop sinning]. Jesus promised us the Holy Spirit, who would guide us into all truth. God and Jesus have done their part. It takes discipline and self-control for us to do our part. And it starts with taking responsibility for renewing our minds every time we are tempted by Satan to believe his lies. Believe me, I understand that no one said it would be easy! And I can hear some of you saying right now, "But what if I am unable to resist the lie I hear in my mind and I DO sin? Haven't I then become a sinner?" Perhaps we need to differentiate what the Bible tells us about sinners. In the Old Testament, a sinner was identified as someone who missed the mark; a person who followed a path or lifestyle [or committed an act] deviating from God's direction; forfeiting goodness in favor of moral failure. In the New Testament, the definition of sinner is similar: missing the mark so as not to share in the prize; but unlike the Old Testament, it is not simply the committal of the act, but a continuous practice of sin that would label us a "sinner". Make no mistake, Sin has always been unacceptable to God, but if we know Jesus as our Savior, we now have an Advocate should we be unable to apply discipline and self-control to our minds when Satan tempts us. We can go to Jesus, confess our lack of discipline, repent, and we are cleansed of all unrighteousness. We may come boldly before the throne of God to receive mercy and find grace to help in time of need (Hebrews 4:16). But here is the important thing to realize. If we stumble, that does not mean we return to being a sinner, as before our transformation. We have a new nature: I have been given God’s precious and magnificent promises by which I am a partaker of the divine nature (2 Peter 1:4). By nature, we are now children of God, not a child of the devil! Because of our new nature, it should be easier for us to be righteous than to sin. It is no longer in our [new] nature to desire to sin, so why are we still identifying ourselves as SINNERS? There are so many Scriptures that tell us who we are in Christ, and not one of them says we are still sinners! 1 Peter 2:9,10 tells us We are a part of a chosen race, a royal priesthood, a holy nation, a people of God’s own possession! 1 Thessalonians 5:5 proclaims that We are children of light and not darkness. Colossians 1:14 declares, We have been redeemed and forgiven of all our sins. The debt against us has been canceled. What part of any of these verses insinuates that we are still sinners? So, the next time you hear the whisper of Satan's lie that you are "[still] a sinner saved by Grace", renew your mind and rebuke that lie. Speak boldly and confidently: I am a citizen of heaven (Philippians 3:20) and I am righteous and holy (Ephesians 4:24). And then believe it! Romans 6:6 "We know that our old self [our human nature without the Holy Spirit] was nailed to the cross with Him, in order that our body of sin might be done away with, so that we would no longer be slaves to sin".